Get Gellin’ with Gel Mani’s! I am sure there are alot of you who know all about Gel manicures but if you don’t know this is for you! Also read about my personal experience with Gel Mani’s! 1. They have to be professionally done. You can’t buy gel like you would buy regular polish. 3. 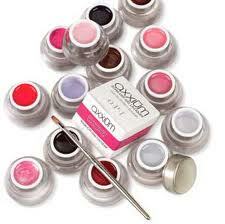 Gel mani’s can last up to two weeks if done correctly but if they start to chip do not peel the gel off. Go & have the nail repaired or soak off with acetone. 6. The biggest PRO to Gel Mani’s is that there is NO drying time. Since the gel is set with a UV Light it dries as soon as the light hits itl. No waiting 15 mins to dry your nails! 7. Anytime the gel starts to look dull, take a cotton ball soaked with rubbing alcohol and rub over your nails, as if you were trying to remove it! (I promise it wont ruin the gel) No more top coat! 8. Make sure to call your nail salon ahead of time to verify that they do gel manicures! I first discovered Gel Manicures when I started going to a new nail salon (Vogue Nails in Lenox Village in Nashville) and I was instantly hooked! I started getting gel every two weeks & I was loving it! It was BEAUTIFUL! Around October (I had been geling since July) I noticed that my nails were starting to crack, become very brittle & break. By the end of the month I was down to nubs! I voiced my concern to my salon and my wonderful manicurist, Sherain, asked me to stop gettiing the gel so that she could research what was happening to my nails. The next time I went to the salon( for a pedicure…lol not gel) she said that she did some research & asked some other clients if they had experienced the same results, some had some hadn’t but she concluded that it was the acetone that was eating away at my nail (from soaking every two weeks for 20 to 30 mins at a time). She gave me a bottle of nail strengthener and said not to gel until my nails were strong & back to normal! It took about 2 months for my nails to return to their natural state but now they are back! Dont get me wrong, I am still a fan of Gel Mani’s but I cut back. Instead of getting them every two weeks I get them done every month! It allows my nails to breath and get a break from the acetone and I have found that that seems to work for me!